Hello Everyone! Don’t miss The Halo & Wings Christian Bookstore event featuring local cookbook author, Rosalie Harpole. 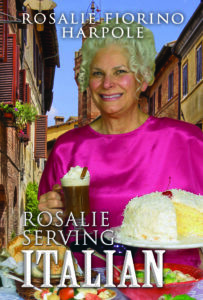 She will be signing both of her cookbooks, Rosalie Serving Country, and Rosalie Serving Best Loved Italian. Rosalie lives in Troy, MO., where this book signing will be held. This store has a little bit of everything, and you will love the beautiful prints that are on display. Enter Your Name and Email Address Below to receive email recipes and updates from Rosalie Serving!